How do I Create Task with Dependency? Linking tasks create task dependencies. 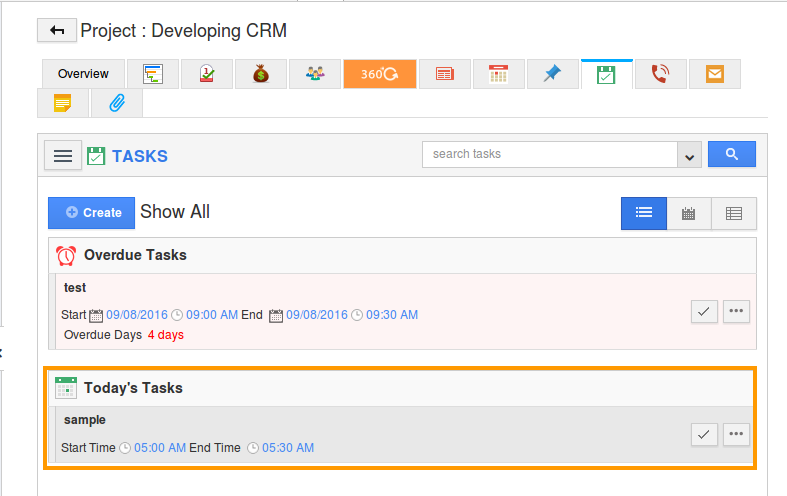 You can link tasks within same project. If you link the tasks then the default link type would be finish to start i.e The start date of the task will automatically adjust according to your dependencies. You cannot proceed to complete a task until all dependencies are completed. You can create tasks with dependency in both project templates and also while creating projects. 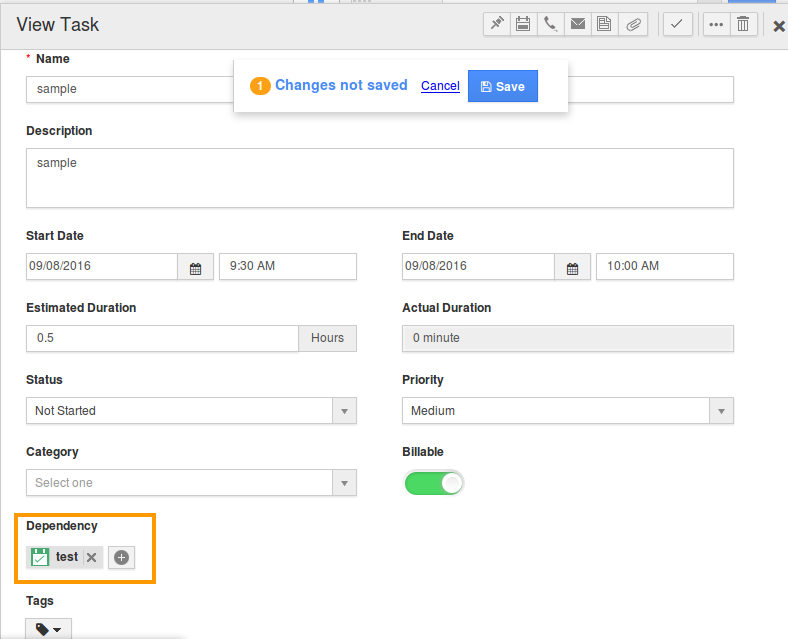 Either create task for milestone or click on "Tasks" global tab found in common activities tab bar create a new task. 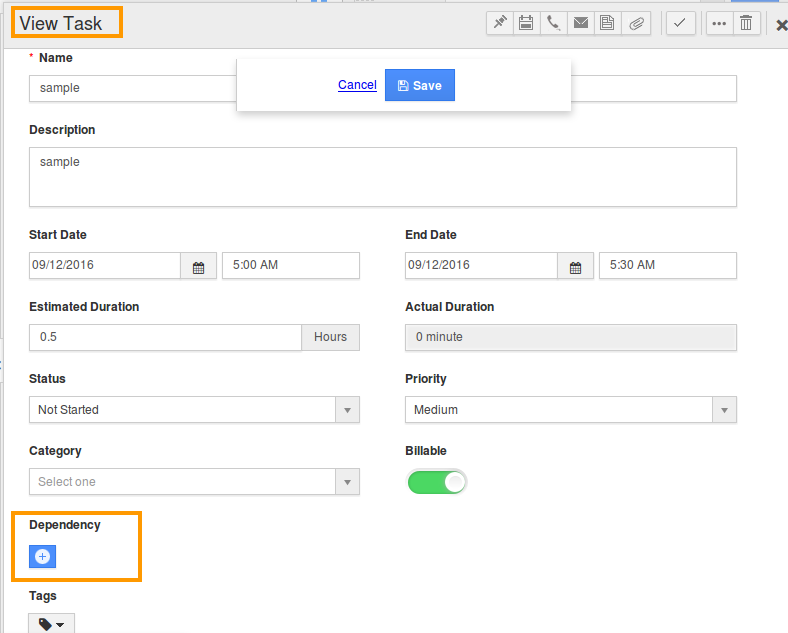 Create a task and provide task information. Click on "+" icon to add dependency. You can view tasks created in that projects. Add your preferred task as dependency tasks and click on "Add" button. The above image shows that the dependent task (Send local user group information) cannot begin until the task that it depends on main task (Escalate support request) gets complete.